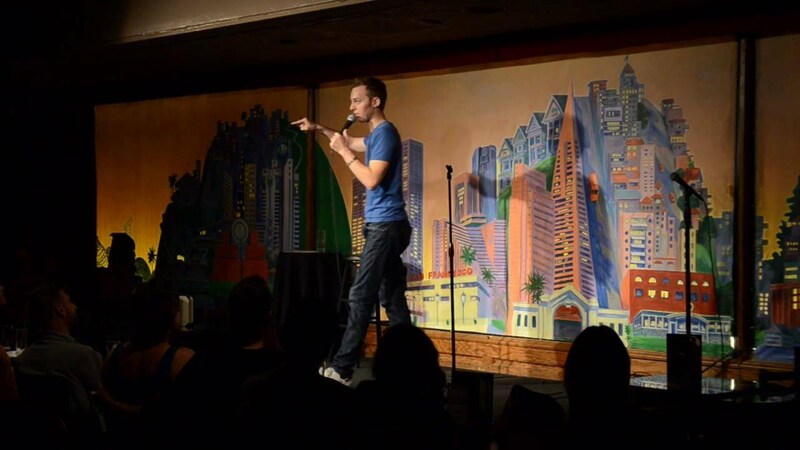 David Studebaker, named “One of the 10 Best Comics to Watch” by SF Weekly, has taken the comedy scene by storm with his brand of fun, fresh, and uplifting comedy. A great all-around performer, David incorporates music, personal stories, and pop culture into his highly interactive shows. Recently, David co-headlined Downtown LA's "Night On Broadway," the largest one day arts festival in the U.S. and was featured on KTVU Fox 2, ABC-LA, KOFY TV & the San Francisco Chronicle. Beyond Stand Up, David is the celebrity panel host for KrakenCon, has hosted multiple episodes of 'Pivot On The Street' for Pivot TV's National Network and can be seen hosting the new animal themed web series: David's Ark! I initially found David thru another comedian who saw him perform and called him "outstanding." David lived up to the hype. I hired him for a memorable 40th birthday party for my husband and he had the crowd wiping tears of laughter out of their eyes for the entire duration. He has great comic timing, new how to interact with our mid-30 to mid-40 year old crowd, and was professional and easy to deal with from the first point of communication. I also appreciated his "clean" comedy which kept the whole group relaxed and engaged. It was a night that none of us will forget. I cannot recommend him highly enough. David Studebaker is absolutely a great performer! I hired talented David Studebaker for two holiday parties that we were having for work. Over 140 were enertained each setting. He was professional, adorable and hilarious. I am still hearing talk about him throughout our company. He was able to mingle, get the scoop on certain individuals and add material off the cuff when he felt it was good timing. Everyone loved him and his jokes. As I looked around the room, everyone was cracking up. He even made me look good for selecting him. He did not disappoint. I would recommend him to anyone. He is definitely one to watch as his career grows. I know I will! Thank you, David, for making us all laugh! I hired David Studebaker to perform at my husband's 50th birthday and everyone agreed he absolutely made the night. He was comfortable performing in our home and he had us all laughing as he worked the crowd. I've seen many stand up comics before and David is one of the best I've ever seen. He could headline anywhere! David gave an excellent comedic performance at my parents 60th birthday party. He engaged the diversely aged crowd of 160 people with excellence. He included jokes based on events that he keenly observed in the hour prior to his performance. His comedic timing was great and he was FUNNY. David had a ton of positive feedback from guests. He was extremely professional to work with, he was prompt and most importantly, he delivered laughs!! Getting it on with an Irish Crowd! 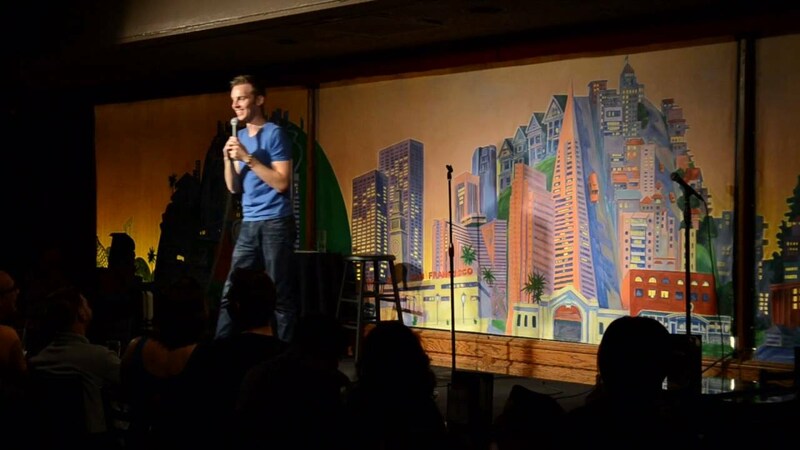 We booked David as part of our Irish Comedy nite at the United Irish Cultural Center. David was great to work with, responsive and adaptable right up to show time! His comedy was clean and very suitable for our diverse audience on the nite. We will have David back again as soon as possible! I highly recommend David for your next show! David Studebaker performed at our corporate holiday lunch and did an outstanding job. He had a tough crowd to work with (about 1/3 of our audience doesn't speak much english) and he just rolled with it and "worked the crowd". He was very professional and we will definately ask him to come back for future events. I hired David for my first show "Comedy Lanes" and he was a complete professional. Not only did he put on a great performance the night of, he also helped me by finding the other comics and giving me advice, being it was my first time producing a show. I highly recommend David for anyone who is looking for a very talented and positive stand up comic. My style of comedy is warm, upbeat, fun and easy to relate to. The majority of my act doesn't go beyond PG-13 and I very rarely use curse words. I also am an experienced host and am very comfortable in that setting. 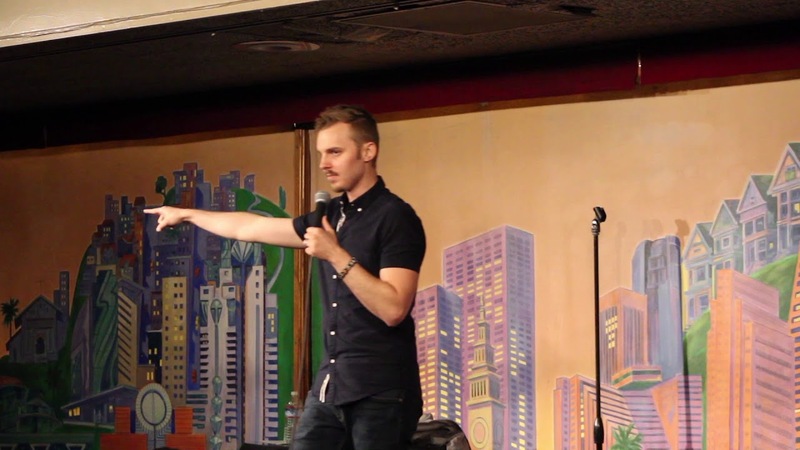 David Studebaker, named “One of the 10 Best Comics to Watch” by SF Weekly, has taken the comedy scene by storm with his brand of fun, fresh, and uplifting comedy. A great all-around performer, David incorporates music, personal stories, and pop culture into his highly interactive shows. Recently, David co-headlined Downtown LA's "Night On Broadway," the largest one day arts festival in the country, was featured on KTVU Fox 2, ABC-LA, Newstalk 910, 107.7 The Bone, KSRO 1350, KOFY TV, in the San Francisco Chronicle, SF Sketchfest, Burbank Comedy Festival and was a "critics choice" in the North Bay Bohemian. Beyond Stand Up, David is the celebrity panel host for KrakenCon, has hosted multiple episodes of 'Pivot On The Street' for Pivot TV's National Network, is certified Gluten-Free and can be seen hosting the new animal themed web series: David's Ark! Just a mic, a stool and a stage is all I need. Each set is different depending on how long the show is, what the audience is and where it's taking place. But I talk a lot about my background/childhood, music, sports, and various other topics I find relevant to the event or show. I also do a lot of audience interaction to keep things fun and upbeat. Jerry Seinfeld, Jon Stewart, Jim Gaffigan, Bruce Springsteen, Kevin James, Vince Gill and Don Rickles are all huge influences in both comedy and performance.